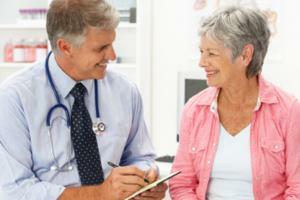 Menopause and Hormone TherapyDr. 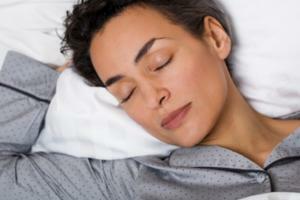 Vivien Brown, MDCM,FCFP,NCMP, Family Physician, discusses menopause and hormone therapies. A family doctor focuses on diagnosing and treating all types of diseases, and can help with various women's health issues such as menopause and hormone replacement therapy. A naturopathic doctor treats conditions using holistic treatments such as acupuncture, nutritional medicine and allergy testing, and can help you manage your menopause symptoms. A yoga instructor is trained in the various forms of yoga practices, and can help students dealing with various health issues, including menopause symptoms. A psychiatrist is a physician who focuses on assessing and treating mental disorders. A psychiatrist can help you understand and manage various health conditions and their effects on your mood, including menopause. Conversation based on: How Hormones and Menopause Affect Women " Trudy is a 54-year-old woman who suffers from poor sleep, hot flashes, night sweats and increasing irritability"
I heard that achy finger joints can be a symptoms of premenopause. I am experiencing this myself so am curious to know if this is actually true?? Reply to: How Hormones and Menopause Affect Women " Trudy is a 54-year-old woman who suffers from poor sleep, hot flashes, night sweats and increasing irritability"
My cycles are anywhere from 2 weeks to 4 weeks. Sometimes they are heavy, some months light. I was blood tested a few years ago, but it was found I was completely fertile. Is this just pre menopause ( I am almost 40) and would hormone therapy help? I would definitely speak with your family physician @Romy. With your age, there may be some differing opinions on what option is most appropriate for her. Whether it's hormones or the pill, or an IUD, your doctor should be able to help you make the most informed decision to help control your cycles, and also to help you understand what changes you might expect over the coming years as you near menopause. I don't believe that hormone therapy helps until you are in full menopause. What are the risks of hormone therapy for menopause? What are the more natural treatments for menopause ? I think that there are a number of herbal supplements that are supposed to be helpful in dealing with symptoms of menopause and pre-menopause. 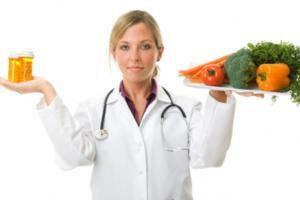 A naturopath would be able to assist in determining which would be most beneficial for you. Does anyone have information as to when one can expect to go through menopause. How much does family history play into this? I was told family history does play a role in when to expect the onset of menopause. In my situation I am not sure what to expect as hysterectomy was involved for 2 generations around the age of 40. I was told 35 years from first period. I am not sure how true that is. Continuing to exercise even when tired will help reduce anxiety and irritability as well as help with sleeping. This Canadian-made, “Menopod” sounds incredibly interesting as a treatment of hot flashes in women going through menopause. I thought the same thing about Menopod. I also once heard of a company making special pyjamas to help women with hot flashes at night. I, too, am intrigued by Menopod to treat hot flashes due to menopause. I would love to hear from anyone with first hand reviews. @dbutchar, I agree! I will definitely recommend looking into it for those I know that are battling with menopause hot flashes. Its a great option for those who are hesitant to take hormone replacement therapy (HRT). Can you elaborate on the different prescriptions available to treat menopause? 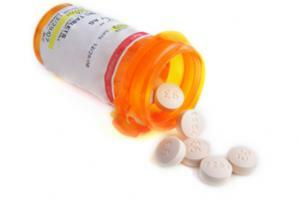 There seems to be a variety of options for prescriptive treatment. Women approaching menopause can use a low-dose contraceptive, though there are considerations to be taken into account such as family history of clotting or cancer. Medications commonly used for unrelated conditions, such as epilepsy, are sometimes used though should be discussed with your physician. Hormone therapy is common but should also be carefully considered - treatments include a regular schedule of estrogen and progesterone intake.